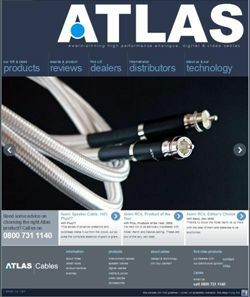 Atlas Cables launches new website | What Hi-Fi? Scottish cable company Atlas has unveiled its new website with improved layouts, better navigation and more detailed product descriptions. John Carrick, sales and marketing director for Atlas Cables, says: "The new website has been designed to dispel the 'smoke and mirrors' associated with cables and their design so that our customers can get an explanation about our technology, materials and manufacturing processes." The upgraded Atlas Cables website is live now.